During the last years I’ve heard many people posing the question, whether Ibiza is still that very special place to be. New destinations - for example in Turkey and Malta - occurred and were said to be the hippest places in Europe! I’m convinced that - at the latest during this summer - Ibiza had its great comeback. 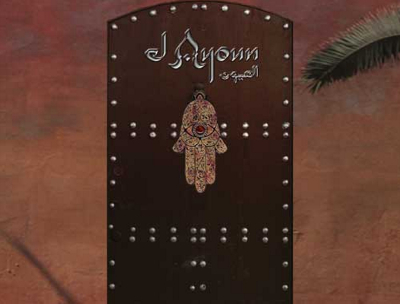 And El Ayoun is one of their outstanding recommendations! Great food with Moroccan atmosphere…and the owner Charles - by the way: keep that name in your mind - is said to be a really nice guy! …and El Ayoun got really good ratings and comments. Check it out, if you have the chance to be on the island during the next weeks and give us your comments!!! This entry was posted on Tuesday, August 23rd, 2005 at 9:33 pm	and is filed under Glorious Destinations, Epicurean Delights, Tragically Hip. You can follow any responses to this entry through the RSS 2.0 feed. You can leave a response, or trackback from your own site.